This Author’s New Spin on ‘The Nutcracker’ Is Sure to Crack Some Nuts! Just like the ruby red leaves of poinsettias, evergreens dripping in gold ornaments, and a sense of excitement everywhere you go, this time of year has certain attributes that you can always count on. 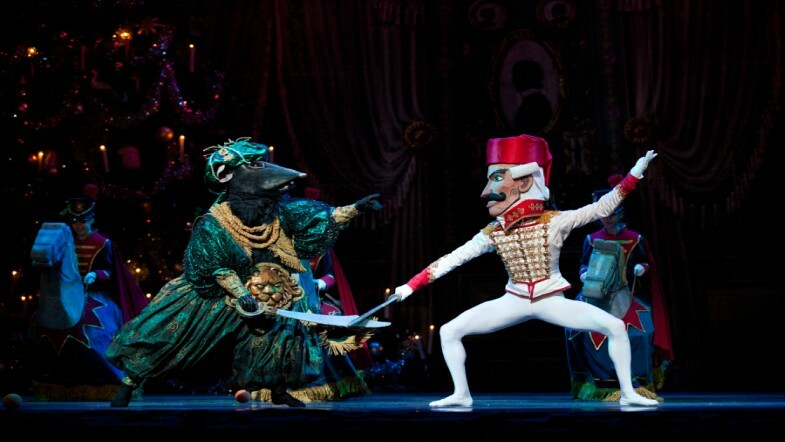 One such example are Christmas tales such as the classic The Nutcracker. People fall in love with the story year after year. Marie (or Clara, as in the ballet) has her epic battle against the evil Mouse King with her Nutcracker toy that has magically come to life. Soon she is taken away to a fairytale land of beautiful dolls. The ballet is quite lovely from what I’ve heard! However, Gregory Maguire, author of Wicked: The Life and Times of the Wicked Witch of the West as well as several other adult and children tales, has decided to retell his own version of The Nutcracker. Hiddensee: A Tale of the Once and Future Nutcracker has a twist that might be too dark for youngsters. Act I is the traditional tale, that you might find in Grimm, with the small powerless Clara fighting the great King of the Mice, and that makes sense and is dramatically strong… Then, Act II comes… It has nothing to do with the great drama of Act I; it’s all squandered. And I wanted to know what I could do with this story to make the two parts speak to each other. Maguire’s main goal? To focus on the toymaker and Marie’s godfather, Drosselmeier, and his backstory. The character was said to be a poor young boy living in the deep woods of Europe. Maguire wants to spend time really connecting him to the tales of German romanticism while sprinkling in real-life struggles. It gives Drosselmeier the chance to be a hero. I understand the classic tale will always be, well, classic. Yet I do believe that Maguire is onto something very real and very magical.